Consider sharing all the benefits of membership in the American Humanism Association with someone you care about with the purchase of a Gift Membership. As a member of the AHA, your friend or loved one will be a part of the oldest and largest humanist group in the United States. The American Humanist Association is a tireless advocate for humanism and the separation of church and state. We make a difference through the important work done by our legal department, through public advocacy, meeting with top officials in Washington, DC, and with educational work done through the AHA Center for Education. 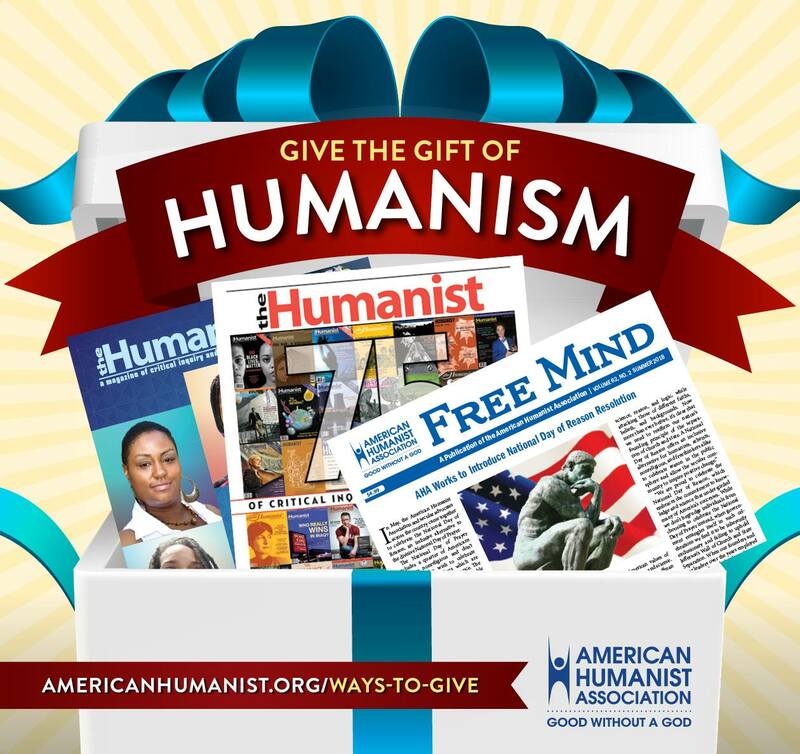 With each Gift Membership your friend or loved one will receive a one year subscription to the Humanist Magazine, the Free Mind newsletter, and our weekly email roundup of the latest news on TheHumanist.com. New membership also includes a free book about humanism and information about the American Humanist Association. Sign up someone you care about for a Gift Membership today! The American Humanist Association is a 501c3 nonprofit. The cost of membership and additional donations are tax deductible. The American Humanist Association is proud to be endorsed by the Better Business Bureau, Guidestar and Charity Navigator. Yes, automatically process this membership fee each year.